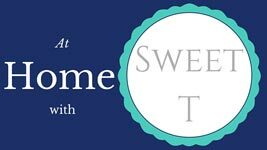 Welcome to the Thrift Store Swap Blog Hop! What is the Thrift Store Swap? Well, a group of 6 bloggers decided to have some fun this summer by sending a thrifted item to a blogger and to challenge her creativity. Chances are you landed here from Maureen’s blog Fox & Bear Homestead, to see what I have created from what she sent me. I have made a Scrap Wood DIY Sign for the Thrift Store Swap. Read on to see what I thrifted and sent on to which blogger. And keep on hopping through to see what each blogger sent and what each received and created. This is going to be fun!!! Do you know what they are??? 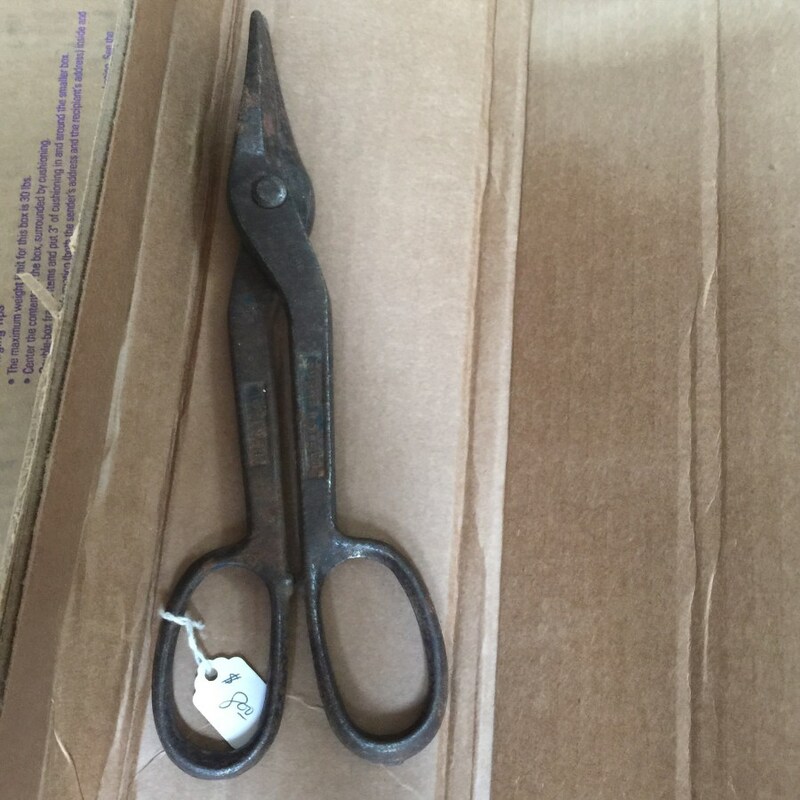 Did you guess antique tin snips??? Yep, that’s what they are. Now what would you do with these? I had several ideas and even asked for suggestions from friends and on Instagram. One suggestion was to make them into a butterfly. Another suggestion was to take them apart and use each piece as hooks for a coat rack. All great suggestions but I had two problems, one being I don’t have a way to bend or manipulate forged steel and the second problem was that I just couldn’t paint or destroy these guys because they are antique. So instead of making something out of these tin snips I decided to make something for the tin snips. I decided a sign for my shop/garage space would be a great place for these guys to hang out. Off I went to the scrap pile for inspiration. Among the scrap I found the bottom of a draw that I had taken apart. This would be the backer for the entire sign. I grabbed my Cricut and left over vinyl from this project for my daughter’s room. What words do you think of for the projects and I work I do? 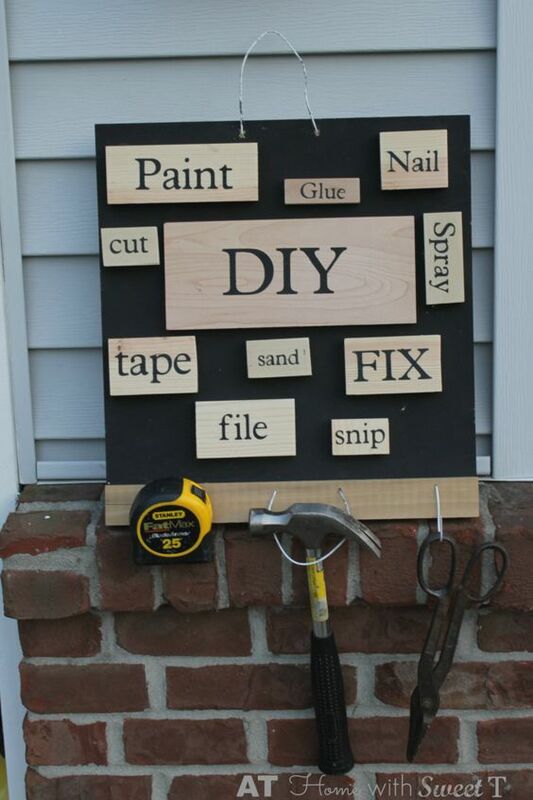 DIY, paint, sand…. each word I came up with I cut slightly differently like all caps, no caps, smaller or bigger font. After I had several words cut I cut the words apart and played around with the scraps to determine the size each piece should be. Using the saw I cut some of the scraps into smaller pieces. Each piece got a quick sanding then the negative of the vinyl word cut outs went onto the wood pieces, making sure to get the inside pieces of letters like “e,” “a,” etc. I cut a small sponge brush down and dabbed black craft paint (like this paint found on Amazon) onto each word carefully so that no paint ended up outside of the vinyl. I probably should have taped off the blocks but live and learn right? I also gave that drawer bottom a coat of black spray paint. The drawer bottom is really thin cheap pressed board. So along the bottom of the board I added a piece of scrap that as luck would have it I found that was exactly the same size as the backer board. With a drill bit the same size as a wire hanger (NO wire hangers!!! Please tell me you get this movie reference?) I drilled holes in that bottom piece we just added. Place the wire through the holes and with a hammer carefully bend the end over to secure it in place. I had enough room to have 3 tools hanging from wire. Drill 2 more holes at the top and through another scrap piece. These holes are to hang the sign by, the scrap piece is so the wire doesn’t rip right through the cheap back board. Finally, remove the vinyl from the words and glue onto the backer. Add your tools and hang! 1. What would you make if you were sent tin snips? 2. What do you think this thing is I sent to Betsy? blog hop, diy, thrift, thrift store swap. Bookmark.